The "big four" that dominate 80% of Australia's Banking, also dominate here: ANZ, Westpac, NAB (BNZ) and the the Commonwealth Bank of Australia owns ASB. 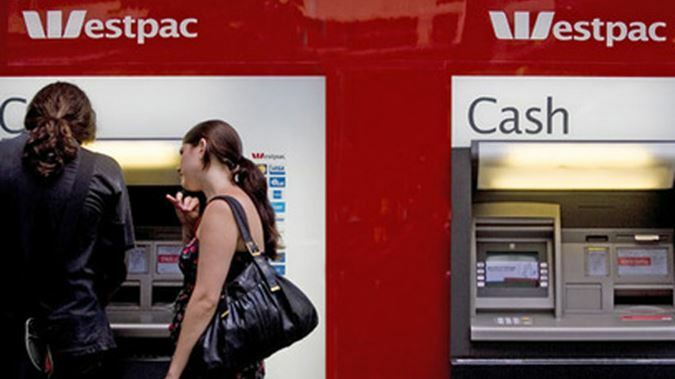 Westpac is used for the majority of our government's banking needs. While all of these have an Australian owned parent company the New Zealand operations have local CEOs and they manage their banking activities within our regulatory frameworks. When asked by Stuff for reassurance, our banks claim they are transparent and honest players and Commerce Minister Kris Faafoi believes that the extreme behaviour revealed in Australia isn't happening here. However, economist Shamubeel Eaqub isn't reassured and he recommends a New Zealand enquiry. The biggest New Zealand owned bank is Kiwi Bank: Net assets $1.13 billion, CEO salary unknown, net profit $124 million. The shift of our banking to Australian owned banks began in the 1980s. In 1988 all our regional Trust Banks were corporatised and each bank was still owned by a regional trust. The majority of these ended up merging into one entity (Trust Bank New Zealand) with the community trusts remaining as individual shareholders. 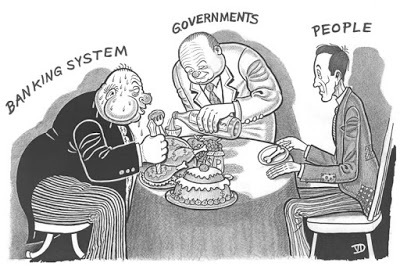 In 1996 the community trusts sold the bank to Westpac for $1.2 million. The Bank of New Zealand began as a private bank in 1861 but in 1862 it gained the banking account for the NZ Government. In 1946 the bank was nationalised. In 1987 the BNZ became the first cab off the rank for the privatisation of public-owned assets with a 15% stock offering. The government reduced its share to 51% in 1989, but had to bail it out with $380 million in 1990 to avoid collapse. In 1992 the bank was bought by the National Australia Bank and became a subsidiary. This Neoliberal thinking that private enterprise and competition improved efficiency and provided better service was flawed and naive. The 100% sales earned short term capital but shifted profits off shore to a few investors who did very well out of the deals and the government and the taxpayer lost out over the longer term. At the time it was believed that New Zealand owned banks couldn't survive but since then Kiwi Bank was established and lending and deposits are growing steadily. SBS (formally the Southland Building Society) rejected amalgamation with an Aussie bank and is also very successful as it merges with other Building Societies to try and replicate the trust bank regional model. I believe that successive governments have continued to be naive around our banking system and Kris Faafoi has joined that complicit culture. There was a good deal of tolerance for corrupt behaviour under the previous National led government and John Key was deeply part of this. His Merrill Lynch background saw him treat money management as a game of monopoly rather than for public good and he very much supported wealth capture in private hands. Together with his personal lawyer, Key happily encouraged New Zealand being used as a tax haven. It is no surprise that after retiring as PM he quickly shifted across to chair ANZ's New Zealand subsidiary. In 2009 the IRD wins two High Court rulings involving $2.75 billion worth of tax fraud perpetrated by the big four Australian banks. The court process over many years would have cost the IRD a good deal but the banks only had to pay back 80% ($2.2 billion) and no penalties. Tax evasion and tax avoidance has been a big part of these banks operations and I'm sure it is continuing in many complex ways. In 2013 11,000 people signed up for a possible class action against NZ banks profiteering from unnecessary default fees that could involve around $250 million. For years bank staff have complained about being forced to sell debt packages to increase company profits and to meet targets that determined their pay. While bank CEOs earned over 100 times what their staff earned they put their employees under a good deal of stress as they were forced to push loans and insurance packages etc onto their customers that were unnecessary and many couldn't actually afford. This practice continues. Banks have also profited hugely from being KiwiSaver providers. ANZ is now managing more than $10 billion in retirement savings and many believe banks could reduce their fees. Annual fees for $10,000 in savings can be as much as $174 and the total fees over the lifetime of a an average KiwiSaver would be around $54,700. It is estimated that New Zealanders paid around $700 million in credit card interest last year and while some of this can be explained as poor money management, it is obvious that they are an example of yet more profiteering. Our consumer culture is increasingly shaped around quick credit and growing online purchases. In 2017 Banks in New Zealand saw a 7.35% profit boost on the year before and a combined total profit of $5.19 billion. No other companies in New Zealand make anything like that profit and none have achieved anything close to a billion (even Fonterra). If the parent banks in Australia are being castigated for fraudulent practices that aren't occurring here then I find it difficult to explain why the New Zealand subsidiaries are more profitable. New Zealand banks are constantly ranked at the top of the world for profitability. The increased privatisation of our largely government owned services and the expectation that they should also return a profit and dividend, reduces the 'service' element for most New Zealanders. With such a focus on making money, those who spend the most can generally access extra services and discounts and those with the least generally pay more in fees. This is not fair or equitable. The regions have often suffered the most with many bank branches closing. The latest New Internationalist has identified a global shift away from the failed Neoliberal governance and many countries are returning privately owned services back to public control. There is a belief that banks are too big to challenge and too big to allow to fail. To deal with the Great Financial Crisis the US Government has given over $5 trillion to financial institutions and the total commitment will be $16.8 trillion. This money is being diverted from useful infrastructure and social service spending and is propping up a corrupt financial system that caused the crisis in the first place. Huge bonuses for CEOs and managers continue and poverty increases. Our banks may not have failed but a level of unnecessary profiteering has been a large element of their success. The fact that our government continues to favour a bank that was forced to pay almost 1billion in owed tax is a concern. New Zealand's total gross debt is now over half a trillion and $250 billion of that is from household debt as people struggle wth having the most expensive housing in the world. Our households now have an income to debt ratio of 168%, which leaves us hugely vulnerable to another economic downturn or housing market collapse. Most of that debt is owed offshore. Our government needs to review our current banking systems and tighten regulations. It also needs to start shifting elements of its banking to local providers and allow them to build capacity until all our banking needs can be delivered internally again. The Green Party had already got the National Government to start this process, but it could be ramped up. We need to learn from Iceland with regards to the ability to recover from a financial shakeup, our banks haven't failed they do need to be pulled into line and be forced to operate fairly. We have become trapped into thinking that the current banking system is our only choice and the big four can do as they wish, the world won't end if we embrace change. As consumers we could use our collective power and shift our custom to regional, member owned banks like SBS and credit unions and recognise alternatives like green dollars and alternative currencies like the Bristol Pound that can revitalise local economies. The Budget Responsibility Rules were a political ploy to calm conservative nerves leading into the election and we are now trapped into a straight jacket that will limit urgent investment. Setting up the Green Infrastructure Fund and similar investments may help, but we actually need to rethink the sense of allowing banks to create money through debt for their own profit. The old Social Credit idea, or something similar, may be worth seriously considering to make our money system work for the good of everyone rather than private profits as it clearly does now. Good blog Dave and it's the tip of the "Titanic" iceberg, as my 'personal' banker could attest to, particularly in regard to ANZ. Thanks for the feedback, Bill. Let's hope there are some brave people in our new government who are prepared to stand their ground against these corporate fraudsters.